Spoil your pet with these fun and joy-giving presents on this special day of love. Disclosure: This page may contain affiliate links. This means Petful may receive a small commission, at no additional cost to you, if you click a link and purchase something. This helps us fulfill our mission to help as many animals as possible. Remember back when you were in elementary school and every Valentine’s Day the whole class would spend a couple hours passing out all their cards and treats? Digging into your pink paper-wrapped shoe box or heart-shaped bag was like pouring out a big Halloween candy loot after a night of trick-or-treating. Sure, the days of passing out Valentine’s Day cards and trading heart-shaped candies with your childhood crush might be over, but that doesn’t mean you can’t still celebrate. And who better to share in the joy of a love-filled day than your pet? Because — let’s be honest — when does your human sweetheart ever show you the kind of affection your cat or dog does? 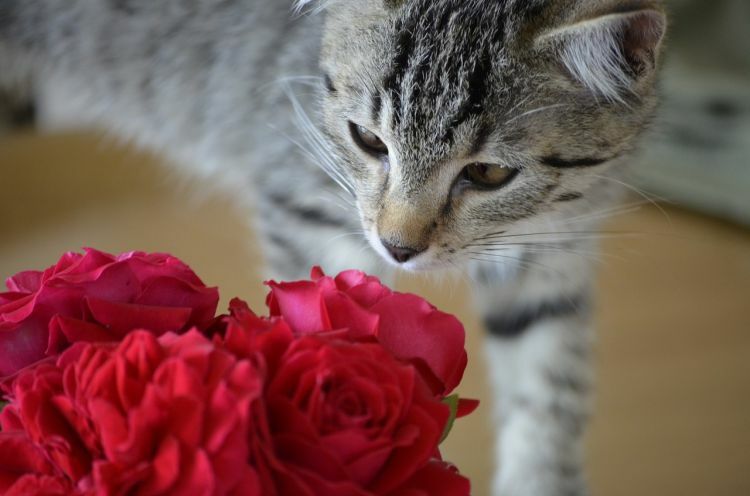 Pick up your pet’s Valentine’s Day gift before it’s too late this year. If you’re short on ideas, here are some last-minute suggestions to save the day. 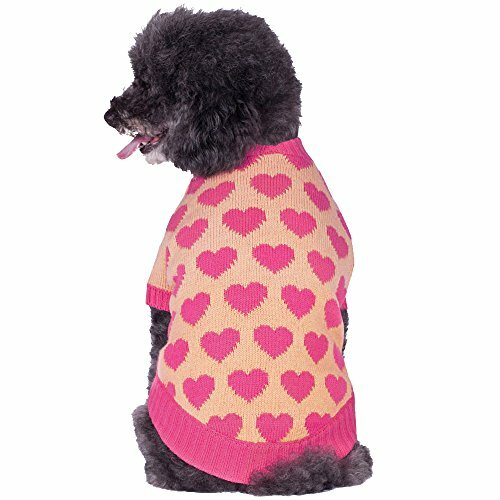 It’s still winter, and there’s a good chance your dog would light up at the thought of a cozy Valentine’s Day-themed sweater. This sweater from Blueberry Pet comes in several designs, all with festive patterns and colors. It’s the perfect gift for those wanting a little extra snuggle time this month. Your dog can never have enough toys, and what better way to add to their collection than with a heart-shaped rope toy? It’s about 25 square inches and comes intertwined with red, pink and white rope for some extra festive fun. Let the holiday tug-of-war games begin. If you can’t settle on just 1 gift, why not opt for an entire basket full of them? This Valentine’s Day-themed tin, made just for cats, is filled with goodies. The bonus? These gifts and treats will last well past Valentine’s Day. Don’t forget to treat your dog, too. These Mutt Mallows strawberry treats will cure any 4-legged sweet tooth running around your home. On the outside, they look just like coated marshmallows, but on the inside, they’re filled with dog-safe ingredients. Plus, they’re free of corn, wheat and soy. Order a bag for a healthy alternative to other crunchy treats on the market. How rough around the edges is your pet’s current ID tag? It could probably use a replacement, and what better way to update and refresh your pet’s “bling” than by swapping their old tag for a new, festive one? 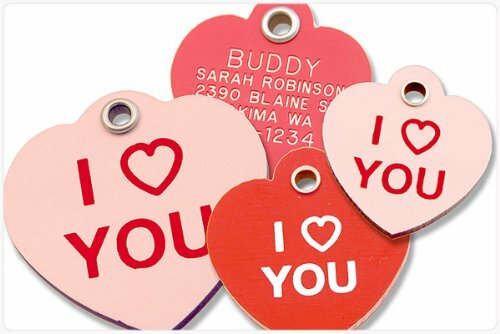 Lucky Pet’s custom engraved ID tags are the perfect way to hang a little love around your pet’s neck. Just make sure all your contact information is up to date and accurate — you can never be too safe. Does your cat ever get a little jealous when your attention is focused elsewhere — or rather, on anywhere but them? 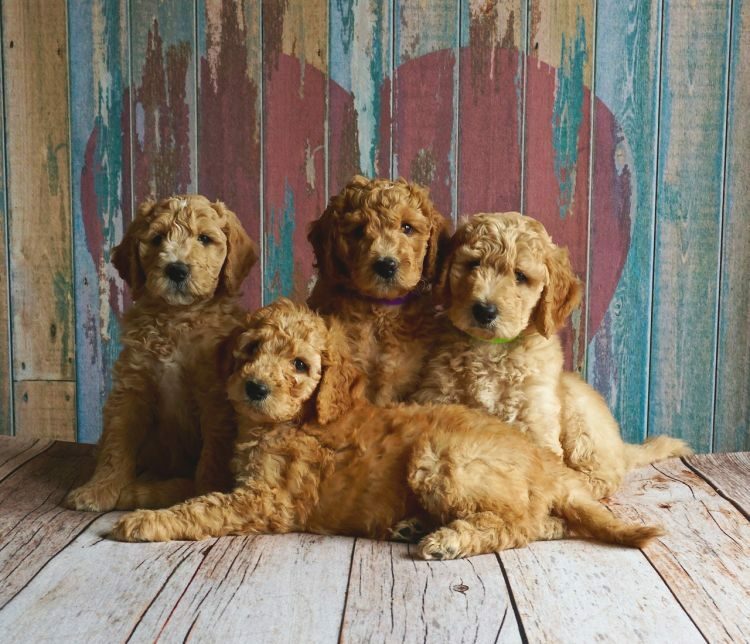 If they’re not the only sweetheart in your life on Valentine’s Day, they might feel a little left out. These fleecy chocolate-covered strawberry toys will certainly remedy the situation. With all the catnip inside these plush strawberries, you can rest assured your cat will be happy and occupied, even if they’re not the center of your attention. If you want to switch things up from regular toys and treats, why not try The Farmer’s Dog? This is a meal-delivery service similar to ones you know and love. Instead of cooking up fancy meals to fill your table, though, you’ll be preparing healthy “plates” for your dog — no manual labor involved. Just pop them in the microwave or serve straight from the fridge. 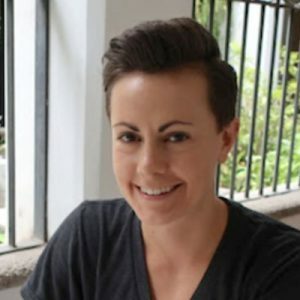 The Farmer’s Dog lets you customize your dog’s meal plan before sending you just the right amount of food on each delivery date. Meals are pre-portioned, pre-prepared and ready for your dog to chow down on. We think this is the United States’ best dog food delivery service out there right now. If you want your dog to feel extra special, this is the gift pack for you. The American Kennel Club offers its BFF Dog Gift Pack in 2 options, depending on your dog’s size. It comes with all-natural treats, a variety of toys and even a monogrammed fleece blanket for those cold winter nights. Simply choose your preferred size and indicate your dog’s breed and name. From there, you can expect the BFF Pack to arrive about a week later. At first glance, this gift might seem like one for us humans, but look again. This pillowcase set comes with one for you and one for your pet. In other words, it designates an entire side of the bed to your loving and deserving pup. What’s a better way to say “I love you” than by giving them equal access to the comfiest sleeping spot in the house? There’s no doubt your pet would love each of the gifts on this list, but this one might top them all. The Kangaroo Pouch Hoodie is exactly what it sounds like — a sweatshirt with a pouch in the front. But we’re not just talking any hoodie with a front pocket. This one is special: Instead of carrying your cell phone or wallet, it carries your pet. 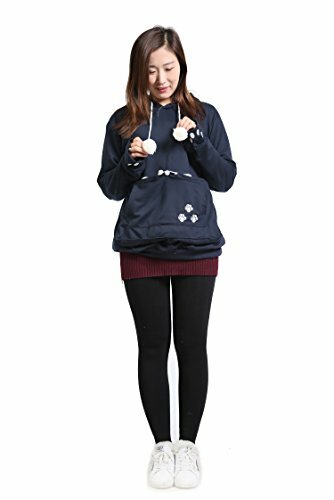 That’s right — this hoodie has a built-in drawstring pouch that’s large enough to hold your lap dog or cat. The pouch is closed on the sides and bottom, with an opening up top for your pet’s head to peek out. Apart from all these gifts to give to your beloved doggie or kitty, there’s truly no better way to express your love this Valentine’s Day than by holding your pet close to your heart.